Riders will be gathered together to start their ride from the Granary Road parking lot. 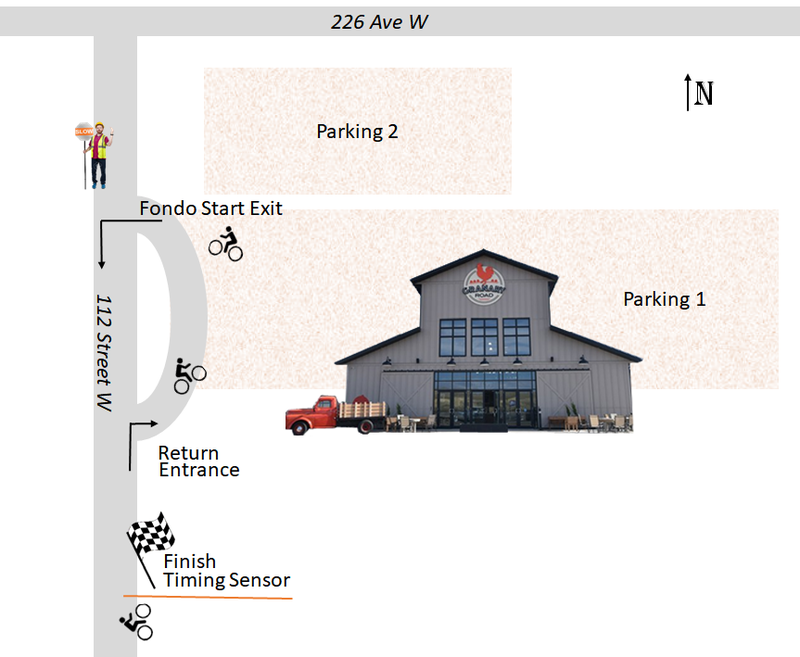 The timing finish for all ride categories will be flagged and located a few hundred meters south of the parking lot on 112th Street on your return route. Your day is done so take it easy pulling into the gravel parking lot! « When will I get my jersey and what are the deadlines?